Two months ago Instagram introduced an easy way to add photos and videos to the stories you want to tell, this is very useful especially if you are a blogger or a content writer who wants to insert some pictures or videos from Instagram. 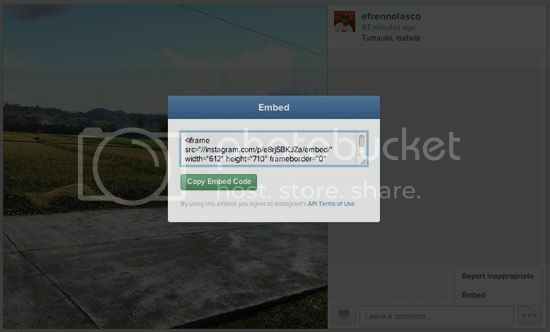 This post will show you how easy to embed pictures and videos from Instagram to any page you want to add. Please note that embed options are only available if you are using Computer or Laptop. Follow the steps given below. 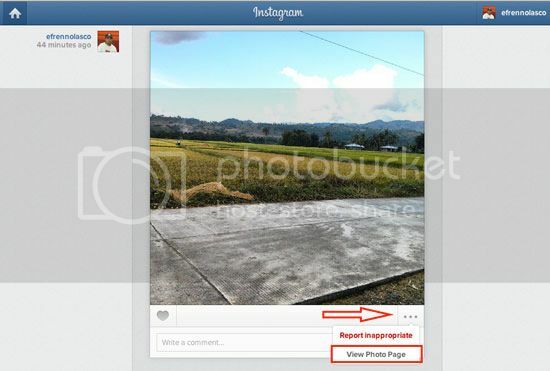 First login to your Instagram account using your laptop or PC, you can embed any public pictures on Instagram but be sure to ask permission to the owner before you take or embed to avoid copyright problems in the future. 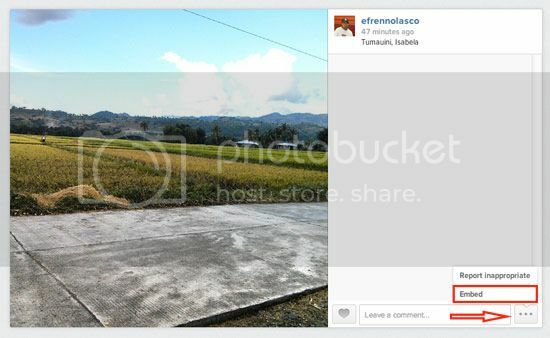 Select the picture or video you want to embed, at the bottom right corner of the picture/video, click the “…” then select “View Photo Page” to open the pictures/video in the separate window, see the screenshot below. Again at the bottom-right corner just beside the leave a comment textbox you see again the “…” click on that and you will see “Embed” in the drop down.